Multidimensional and tabular models, MDX and DAX, all in one book, oh my! 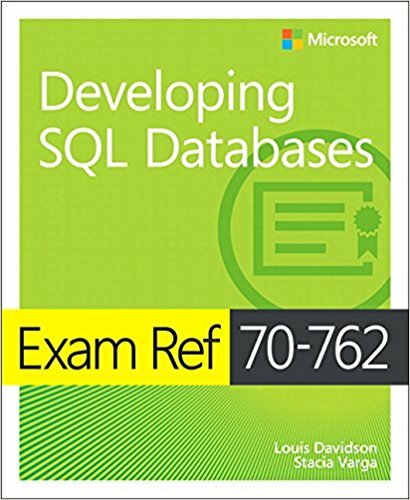 I don’t normally write about SQL Server databases (apart from what I contributed to the SQL Server 2016 book below), but when I do, it’s exam focused. So far. Here’s the first book with my new name! And this one is free to download from Microsoft. Not an update, but a complete rewrite of the 2010 version. I’ve said for many years that all roads lead to SharePoint. I saw the potential for advancements for BI in Microsoft Office SharePoint 2007 which had a lot of features that convinced me that SharePoint would be central to Microsoft’s long-term strategy for BI. SharePoint Server 2010 is another big step in the right direction. 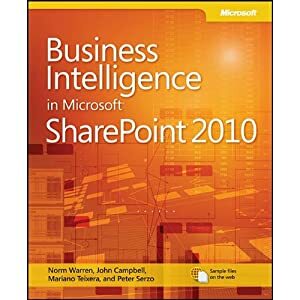 Whereas my other book projects discuss SharePoint business intelligence as a complement to other technologies, this book puts SharePoint at center stage. The beginning chapters provide an overview of BI in general as well as the Microsoft BI stack, and include some guidance on choosing the right tool for authoring BI content. 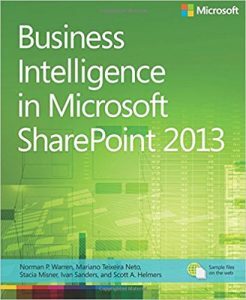 Then subsequent chapters explore each BI service application within SharePoint to help you better understand its history, its capabilities, and the steps required to implement it successfully. 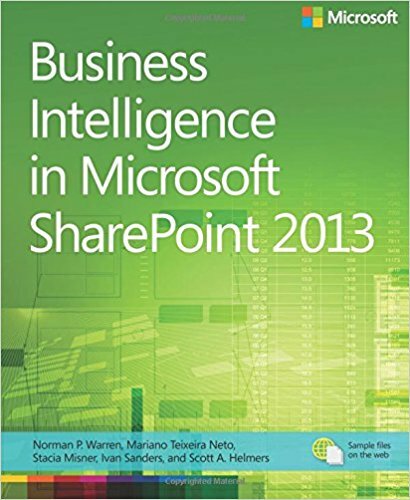 This book provides an overview of the entire Microsoft business intelligence stack across all SQL Server 2008 R2 business intelligence components (SSIS, SSAS, SSRS, MDS), Excel, PowerPivot for Excel, and SharePoint Server 2010 (Web Parts, PerformancePoint Services). It includes hands-on exercises to help you learn how these technologies work. Unfortunately, McGraw-Hill has elected not to post the sample files for download. I do not have access to the files for Chapters 1-7, written by Mr. Janus, but I can make available the files for the chapters that I wrote for which samples are required to follow along with the examples in the book. The file Code-BuildingIntegratedSolutions.zip contains samples for Chapters 8, 10, 11, 12, and 13. 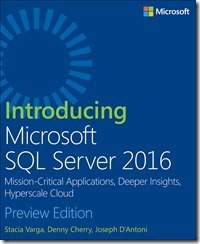 This book is a free download from Microsoft Press to introduce you to all the new features in SQL Server 2008 R2. This book is not a revision, but a completely new book full of step-by-step instructions to introduce you to report authoring, management, and delivery with Reporting Services 2008. Where applicable, you learn how to work with Reporting Services in both native mode and SharePoint integrated mode. Note: In earlier editions, we provided the database with the book and many people had trouble with getting it installed and often the database was corrupt for some reason. When Microsoft decided to provide the SQL Server samples online through Codeplex, we thought it was reasonable to provide a link to the sample databases and avoid that problem. The link in the book http://www.codeplex.com/MSFTDBProdSamples/Release/ProjectReleases.aspx/ReleaseID=16040 was valid for a long time, and was expected to remain stable. I’ve noticed that the sample database links are now always redirecting to the most current release of the databases which is unfortunate for authors like me who counted on this links remaining stable. As of today, this link is a page that has the database for SQL Server 2008: http://msftdbprodsamples.codeplex.com/releases/view/37109. It appears Codeplex introduced a new URL naming convention after the book was written. In case that happens again, the page that lists all database versions is available here – http://msftdbprodsamples.codeplex.com/ – and hopefully will always stay valid. If you want to use the AdventureWorksDW2008R2 database, I would expect that it would work without a problem, but I haven’t tested it. Microsoft SQL Server 2005 Express Edition: Start Now! 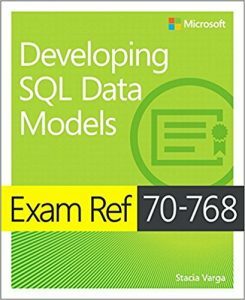 If you have never used a relational database before, this book is for you. It provides an introduction to database technology using SQL Server 2005 Express Edition by stepping you through the process of building and querying a simple database for household inventory. 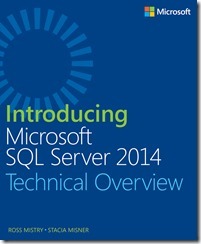 Use this reference guide if you’re responsible for administration of SQL Server 2005 components. It covers all of the major features and components of SQL Server 2005, and introduces you to the key capabilities of the business intelligence components: Integration Services, Analysis Services, and Reporting Services. Learn the basics of SQL Server 2005 Reporting Services by following the step-by-step tutorials as you work through each stage of the reporting life cycle to author, manage, and deliver reports across your organization. You’ll start by learning how Reporting Services provides a complete reporting solution, how to install and configure Reporting Services, and how to use the Report Wizard to build a simple report. Then you’ll learn how to enhance reports with advanced techniques to meet a variety of reporting requirements and how to build report models to support ad hoc report development for non-technical users. Next you’ll learn how to organize, manage, and secure reports as well as how to monitor and administer the Report Server. You’ll also learn about the options available for accessing reports online, delivering reports to specific destinations, and creating ad hoc reports with Report Builder. Finally, you’ll learn how you can author, manage, and deliver reports programmatically to build your own applications with Reporting Services as the foundation platform. Note: From time to time over the years, I have heard from readers that the sample CD is missing the database files that are necessary to complete the step-by-step procedures in the book. The CD production quality for this book has not been consistent from book to book. I’ve heard from some readers that the database was included but was corrupt. For others, it’s been fine. As an author, it’s totally out of my control, but to help readers who took the time to investigate whether there is a fix available, I have provided this file online for download at http://datainspirations.com/uploads/rs2005sbsDW.zip. Use the practical step-by-step exercises in this book to learn how to unify and integrate your business data to support reporting and analysis with SQL Server 2005 Analysis Services. The first part of the book explains the fundamentals of business intelligence and data warehousing, shows how Analysis Services 2005 implements the benefits of OLAP, and introduces you to the development and deployment of an Analysis Services cube. In Part II, you focus on basic dimension and cube design principles by learning how to use specific Analysis Services features to create different types of dimensions, add various types of measures to a cube, and organize dimension attributes into hierarchies for user navigation and aggregation optimization. The third part of the book teaches you how to work with more advanced features, such as MDX calculations, key performance indicators, dimension relationships. You’ll also learn how to implement interactive features like actions, links to reports, drillthrough, and writeback. The final part of the book shows you how to manage an Analysis Services database in production by implementing security, creating partitions, configuring storage options, and managing processing. 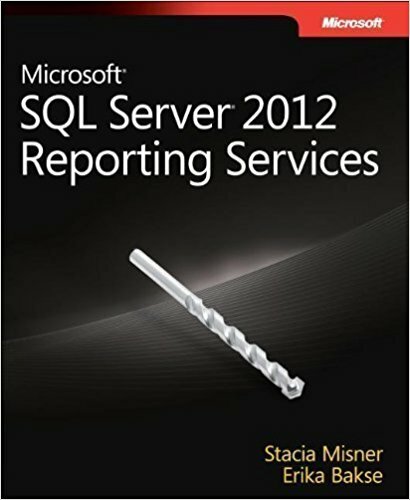 This book shows you to how to use SQL Server 2000 Reporting Services as follow the step-by-step tutorial to create, manage, and deliver reports. 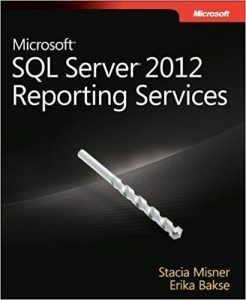 If you aren’t ready to migrate to SQL Server 2005 but want to get started now with Reporting Services, you can use this book to learn how to build basic reports and then build on that knowledge to apply advanced techniques for more complex reporting needs. You’ll also learn how to manage published reports and monitor server components. Then you’ll learn how users can access reports and how to implement subscriptions for delivery of reports to a specified destination. The companion CD includes bonus chapters for building your own applications to create, manage, or view reports using the Reporting Services application programming interface. Written for the business person who wants to understand business intelligence without wading through the technical details, this book explains how and why business intelligence is used. This book also features several case studies illustrating how BI solutions were implemented to address specific needs and describing the benefits gained from those solutions. The final section of the book explains how to get started with your own BI project, from identifying opportunities to developing a strategy, assembling a team, and selecting technologies.